Experience alpacas first-hand and learn about alpaca farming from an experienced breeder. 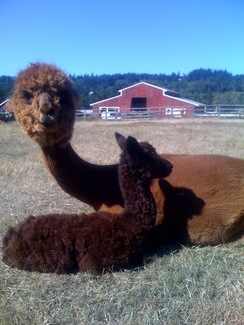 Alpaca Ranching In The Pacific NW! Alpaca farming in the Pacific Northwest is ideally suited to the temperate climate, nutrient-rich grazing pastures, and abundance of knowledgeable, friendly alpaca farms who can be found here on the Pacific Northwest Alpaca Association website. The first step to learning more about these gentle producers of one of the world's most luxurious fibers, is to find a farm near you and set up a visit today to see these magical animals for yourself! Or check out the alpacas for sale and alpaca products offered by our members. 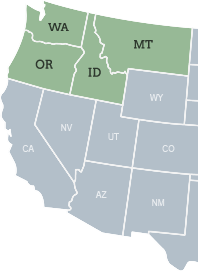 If you're currently an alpaca breeder in Washington, Oregon, Idaho, or Montana, join PNAA today and become a part of the dedicated community of northwest alpaca breeders and take advantage of the membership benefits PNAA offers. A Mid-Summer Educational Conference - Our new annual summer conference.